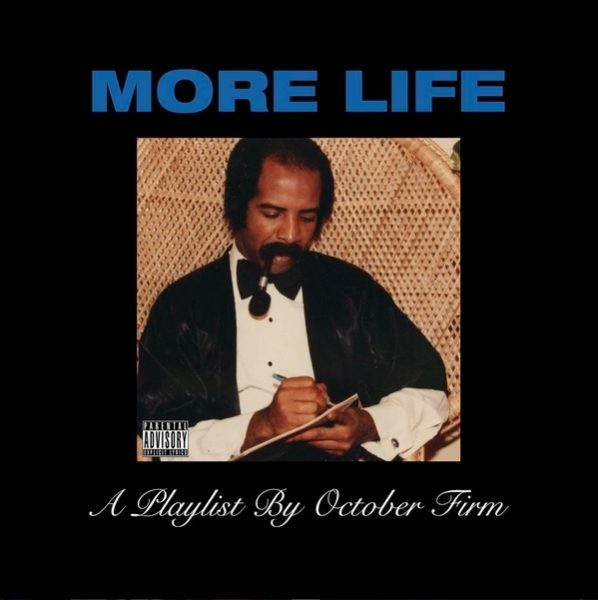 Drake is set to release his highly-anticipated compilation, More Life, tonight, March 18, and the rapper apparently decided to commemorate the moment with a tattoo that appears to have been modeled after the pink flower emoji Drake and his team have been using in promotional artwork for the playlist. 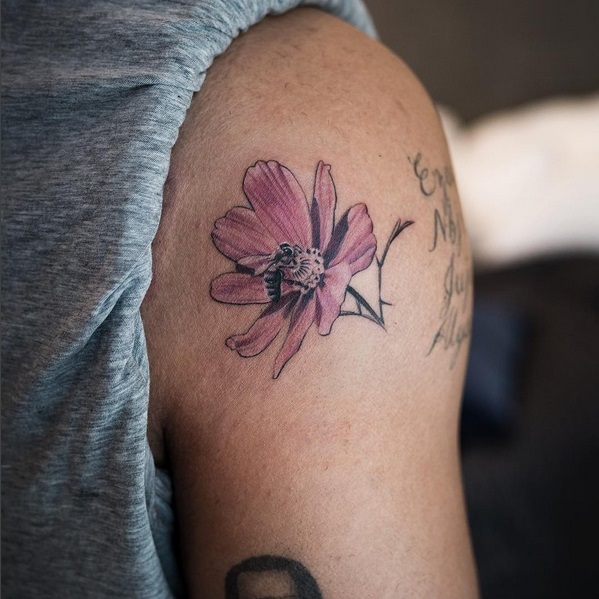 Drake’s new More Life-inspired tattoo is inked on the top part of his arm, near his shoulder, and features an image of a flower done in a light pink ink, with an incredibly detailed bee pollinating the flower. 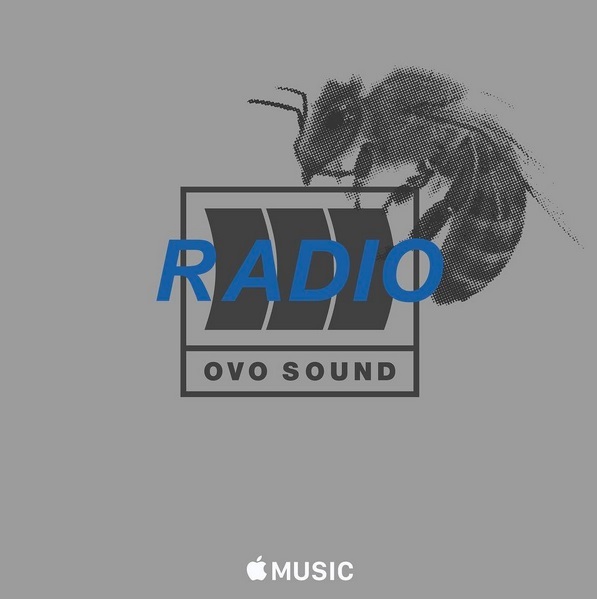 Drake’s More Life playlist has been delayed several times, and in the days leading up to this evening’s impending release, the rapper has been dropping promotional hints on his Instagram account, the most recent being an OVO Sound Radio image with a bee in the background, similar to the bee featured in Drake’s tattoo. Although Drake has yet to debut his new More Life flower tattoo on his own Instagram account, a photo of the fresh ink was posted online on March 18, by award-winning tattoo artist Niki Norberg of Gothenburg, Sweden, who is responsible for the tat. It’s been about four months since Drake has gone under the needle for a new tattoo; he debuted his “unruly” flaming skull tattoo last November, and caught quite a bit of flak for the design, which has been compared to “an ugly brussel sprout” and a “Myrtle Beach spring break discount tattoo.” Drake’s “unruly” skull tattoo was apparently inspired by Jamaican dancehall star Popcaan, who is good friends with the rapper and last October, dropped his Unruly track on Drake’s OVO Sound Radio, but the ink, done by famed tattoo artist Dr. Woo, was met with a resounding “boo.” For his sake, we hope Drake’s More Life flower tattoo goes over better with his fans. Though Drake and his team have yet to explain the significance of the flower and bee image as it pertains to More Life, it’s expected that the link between the two will be explained once the compilation officially premiers. The OVO Sound Radio show is scheduled to begin this evening at 6pm EST, and Drake’s More Life is expected to premier on the show, so go check it out!